Meanwhile, the Council on American-Islamic Relations (CAIR) continues freely to operate in America. In the wee hours of election night 2016, in fact, its Los Angeles office leader called for the overthrow of the U.S. government. The Trump administration has stated its commitment to fighting Islamic supremacism, including the Muslim Brotherhood itself. To what lengths would America's leaders go to protect a group that the United Arab Emirates (UAE) deemed a terrorist organization? A bombshell new report from the Investigative Project on Terrorism (IPT) reveals the alarming answer. It involves a man who in his almost 50 years of public life has done more for America's enemies -- first of the Communist variety and later of the jihadist brand -- than perhaps any other: Iran lobbyist-in-chief John Kerry. In the most recent case, he did so in secret, apparently well aware of the political consequences of exposing the potentially catastrophic policy he was pursuing to the light of day. 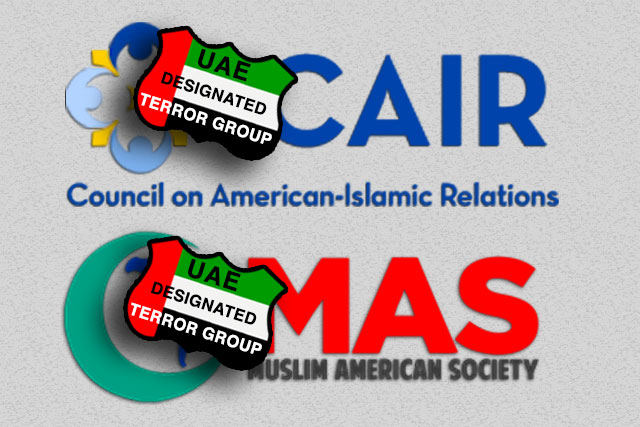 As IPT's report details, Hamas-linked Council on American-Islamic Relations (CAIR) and the Muslim American Society (MAS) were classified as terrorist groups by the UAE in 2014, as two of the 83 entities identified as such for their ties to the Egyptian Muslim Brotherhood. Furious at such a charge, CAIR pushed Secretary of State Kerry to lobby on its behalf. Kerry's State Department reportedly complied, meeting with UAE officials regularly to plead CAIR's case. "actively sought to hamper governmental anti-terrorism efforts by direct propaganda activities aimed at police, first-responders, and intelligence agencies through so-called sensitivity training. Their goal is to create as much self-doubt, hesitation, fear of name-calling, and litigation within police departments and intelligence agencies as possible so as to render such authorities ineffective in pursuing international and domestic terrorist entities." More directly, as jihad expert Daniel Pipes noted in a 2014 expose, "At least seven board members or staff at CAIR have been arrested, denied entry to the U.S., or were indicted on or pled guilty to (or were convicted of) terrorist charge." Because of the litany of actions that CAIR has taken on behalf of and in association with Islamic supremacists -- as was unearthed during the Holy Land Foundation trial, which represented the largest terror financing case in U.S. history and in which CAIR was named as an unindicted co-conspirator -- back in 2008 the FBI officially ceased contact with the group. During the Obama years, however, groups like CAIR were embraced under the jihad-enabling "countering violent extremism" (CVE) paradigm. CVE outsourced "de-radicalization" efforts to "peaceful Islamist," Muslim Brotherhood-tied groups. CVE was the antithesis of the comprehensive counterjihadist program America required. That portion of the letter now appears on CAIR's website. But at the time that the letter was sent to CAIR, according to knowledgeable sources, there was an agreement between CAIR and the State Department to keep the letter secret. An excerpt from it was posted on CAIR's website only in May 2016, a year after it was received. The IPT has learned that Kerry and CAIR made this agreement to keep the letter secret...to protect Kerry from public embarrassment. In light of CAIR's numerous ties to Hamas and other unsavory aspects of its record, Kerry had good reason to believe that the letter could cause a public relations disaster for him. Kerry's efforts proved unsuccessful; the UAE did not budge. The lifelong leftist enabler of America's foes, whose public career commenced with propagandistic testimony to the U.S. Senate on the Vietnam War, redounding to the Communist's benefit, and closed with his support for Islamists including CAIR -- not to mention the mullahs in Iran -- never paid a price for such efforts. Meanwhile, CAIR continues freely to operate in America. In the wee hours of election night 2016, in fact, its Los Angeles office leader called for the overthrow of the U.S. government. The Trump administration has stated its commitment to "eradicating" Islamic supremacism, including challenging the Muslim Brotherhood itself, which represents the tip of the Sunni jihadist spear. This stance is reflected not only in policy speeches delivered during the presidential campaign, but in the testimony, past public remarks and actions of the principal members of President Trump's National Security Council. The Muslim Brotherhood may very may very well come under scrutiny in the near-term, as will the efforts of those who oppose the group, as Senator Ted Cruz has re-upped a bill that calls upon the Secretary of State to submit a report on its designation as a foreign terrorist organization. Department of Justice officials successfully argued in court that the international Muslim Brotherhood and its United States affiliates had engaged in a widespread conspiracy to raise money and materially support the terrorist group Hamas. HLF officials charged in the case were found guilty on all counts in November 2008, primarily related to millions of dollars that had been transferred to Hamas. During the trial and in court documents, Federal prosecutors implicated a number of prominent United States-Islamic organizations in this conspiracy, including the Islamic Society of North America [ISNA], the North American Islamic Trust [NAIT], and the Council on American-Islamic Relations [CAIR]. These groups and their leaders, among others, were named as unindicted co-conspirators in the case. "The mandate of these organizations [ISNA, NAIT and CAIR], per the International Muslim Brotherhood, was to support HAMAS, and the HLF's particular role was to raise money to support HAMAS' organizations inside the Palestinian territories." Should the Trump administration challenge the Muslim Brotherhood, it is reasonable to think that it may threaten its offshoots, one of which is the very Islamic organization in CAIR that the Obama administration specifically sought to protect. Should CAIR come under fire, it is a safe bet that the Left will close ranks, arguing that conservatives are on a witch hunt akin to the Red Scare to snuff out peaceful Muslims in America. Those who wish to triumph over the global jihad must challenge this narrative fearlessly. The argument against CAIR and similar groups is simply this: If you aid, abet or enable to jihadists, you will be prosecuted, and swiftly. You are standing with those who wish to kill innocent Americans, and the government's first job is to protect the life and limb of its citizens. Efforts to rid America of jihadists, shut down their funding networks and punish those who give them aid and comfort are about defending the homeland against a subversive ideology of conquest that seeks to undermine our Constitutional system and supplant it with a totalitarian one based in Islamic law, Sharia. "Liberals" or "Progressives" might seek to use CAIR as a cudgel to argue that "conservatives" wish to trample on the rights of Muslims. 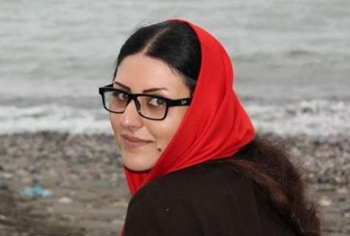 The task of the rest of us will be to expose a supposed civil liberties group as a cleverly-designed front for a theocratic, political Islamic supremacist movement that seeks to overtake the civil liberties of all Americans. That is all the more reason why it is important to bring it to light. Any group such as CAIR and Muslim Brotherhood with known terrorist support and financing connections to terror groups such as Fatah, Hamas Hizbollah and ISIS/ISIL should be shut down, funds confiscated and given to victims of terrorism. So called social networks should shut down all jihadist sites propagating murder and recruitment. Enough is enough, islamists are using our freedom of speech to eliminate us, and political correctness to shut down our freedom of speech. If Islam takes over, social networks will either be shut down or used for non stop propaganda. Every hard line Islamic proselytiser rants against "freedom of speech" "democracy""criticising Islam" and encourages violence against our way of life callihg us "kaffirs" our women "whores" et al. Governments and media should publicise these things and stand up to the invasion and subversion by stealth of our democracy and freedoms and not pander to political correctness. Power, religion, and politics make strange bedfellows, as evidenced by the unholy alliance of Islamists and Demo-nazis. Clearly, the fringe leftist-progressive-socialists have cozied up to the fascistic, misogynistic, homophobic, woman-demeaning supremacist Islamists, while simultaneously attempting to portray themselves as freedom-loving idealists. Of all the hypocrisies the world has ever known!!! Kerry is simply one of the worst, but hardly among the only ones. Our society has not only been infiltrated, but the very fabric of our Judeo-Christian culture is being eaten by a cancer, where our young ones are taught from the earliest ages that white people are the root of all evil, and that there is a moral equivalence between terrorists and, for example, Israelis who have the audacity to defend themselves against an existentialist threat. There has been a lot of loose talk in the US lately including advocating the assassination of the President. Does the US have laws regarding sedition and treason? If they do then maybe Kerry and a few other high profile idiots would be a good target for prosecution by way of an example. Your analysis is spot on. This is a phenomenon that has been festering for a long time and greatly encouraged by the Obama presidency. Support for action among the American citizenship can only happen if they are fully informed of the threat to America. Considering that the written word goes only so far these days, the visual media takes precedence. Using news channels, interviews, live debates as in the British tradition.the average American can be shown a reality that has been hidden by PC and smug Democrats, and conventional Republicans. Considering CNN's popularity among the Lefts' ideologues requests should be made to have a series of discussions on Arab history of Islam, its Islamic precepts, Islamic groups in the USA,Islamic terrorism, student groups supporting antisemitism [or is it anti-Israel? } Progressive ideology has stifled debate. Knowledge will set them free. The left is in denial regarding this very real threat to America. The most common response I hear is, "It couldn't happen here; this is America." Throughout my long life, that has always been the attitude here in America regarding any horrors occurring anywhere else. "It can't happen here." Well, it can and it will, if the USA does not wake up from its apathetic sleep. And it did once before. We call it the civil war and it occurred from 1861 to 1865. It was, in part, about freeing the slaves, though there were also other causes. The next civil war will be about preventing a return to slavery; this time it will be the slavery to Islamic rule and Shariah law. Very interesting article showing once more how Kerry (and his master's voice) used his official power to endanger America and its allies. This guy is a plague on America and should be prosecuted and get a life sentence for treason inter alia. Bringing James Taylor to France to sing "You've Got a Friend" after the terrorist bombings in Paris reflects the monstrously ineffective foreign policy of Obama/Kerry. Our media was silent about this farce yet is all over criticizing President Trump after his being in office two weeks. As long as 'progressive, open minded, liberal idiots keep fighting their President instead of Islamic extremists, the US future looks grim. Hopefully Pres. Trump & his administration will be strong (sensible they are) enough to not let it come so far in the US. In W-Europe the battle is lost. Among young European students the villains are not Iran, Libya, Yemen, Saudi Arabia, Turkey, "Palestine", Hezbollah etc.,etc., countries that kill, hang, stone or lock up their own people when they protest or are 'different. No, in their eyes Israel is the ultimate villain, the über terrorist which must be tried & boycotted. As long as this is the case........G-d help us all! Ttime to clean up the marsh at the State department. Some of his acolytes are still in there.